Now it’s time for some royal drama here on the blog. 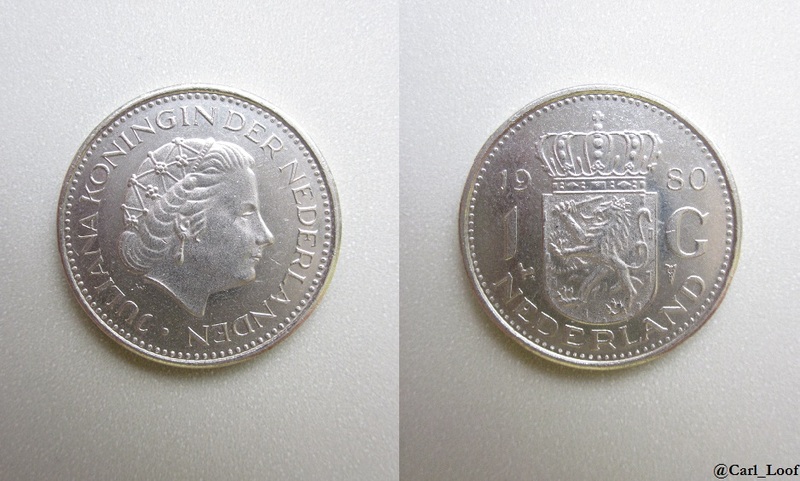 This Dutch coin features Queen Juliana of the Netherlands and it was minted on the year of her abdication. She abdicated on her 71st birthday passing on the crown to her daughter Beatrix (the current queen) after 62 years as the country’s monarch. Juliana would live for several more years – dying in 2004 at the age of 92. She was then the longest-lived monarch in the world. In 1940 the German troops initiated their invasion of the Netherlands during World War Two. This was a vital area that Germany needed to control in order to realize the ambitions of controlling the entire Europe. Parts of the royal family (including Juliana) decided to leave the country and represent it from abroad. They were one month in the U.K. before setting of to Canada. Juliana spoke well of her Canadian hosts while Canadian troops fought the Germans in her homeland. A special bond, lasting to our days, was formed between Dutch people and Canadians. In 1946 Juliana sent a gift of 20,500 tulip bulbs to Canada with a promise to continue sending more each year as long as she lived. The Netherlands is the number one country of tulips. The name of the Dutch gulden simply comes from the word gold reminding us that the coins were originally made in this precious metal. The gulden was replaced by the euro in 2002. 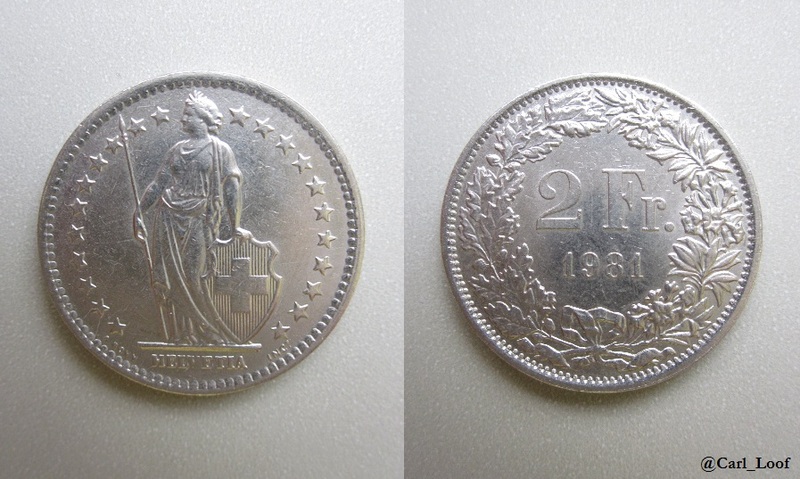 This is a pfenning coin – the subunit of the Deutsche Mark (often referred to as the D-mark). Germany was split in two after World War II. One state was created from the zones occupied by the U.S., France and Great Britain. 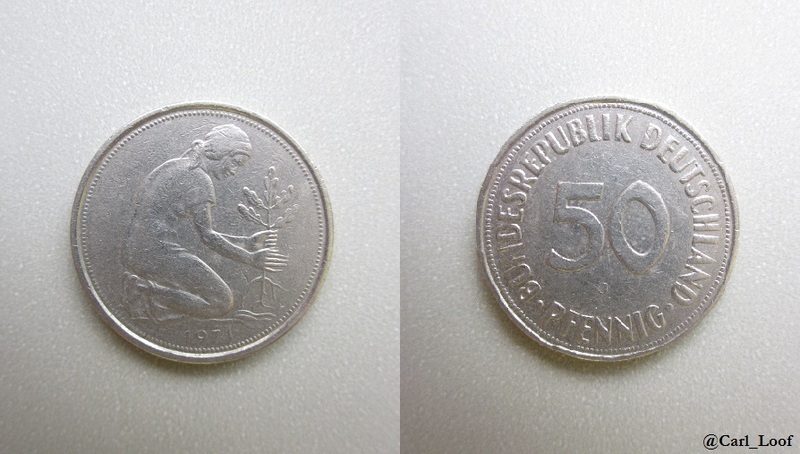 This was Bundesrepublik Deutschland – West Germany and it was here that the D-mark was the official currency. The other state was created from the zone occupied by the USSR. This was Deutsche Demokratische Republik – East Germany. The coin features a woman planting an oak three. The oak is a symbol of Germany and is featured on many different coins both from the D-mark and the euro. To me the woman planting the tree represents something new. It’s a rebirth of a new country that rises from the ashes of the Second World War. The D-mark also became the official currency in East Germany following the unification of the two countries in 1990. 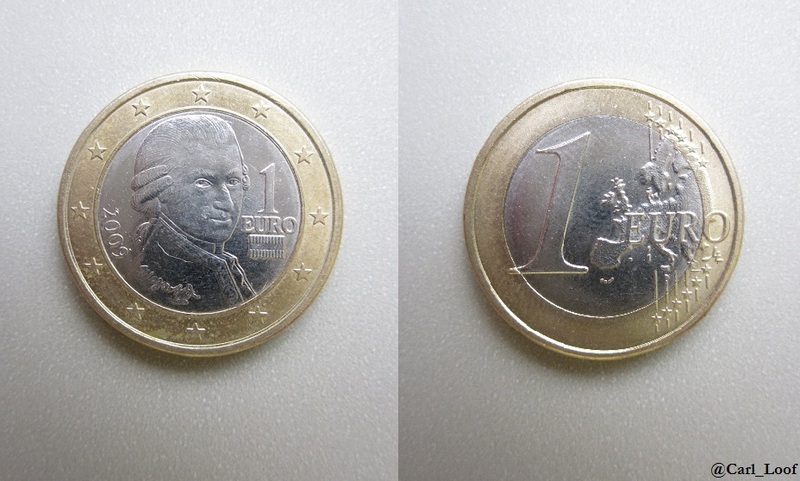 It was later replaced by the euro in 2002.